FTM enables the management, orchestration and monitoring of financial transactions during their processing life cycle. FTM provides the capability to integrate and unify financial transactions in various industry formats, including ISO 20022, SWIFT, NACHA, EDIFACT, ANSI X12 and many others. 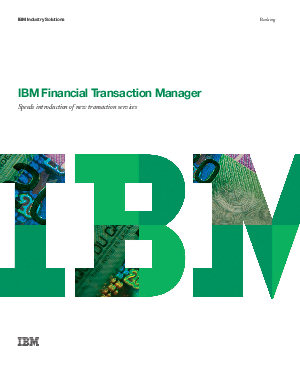 Using FTM, financial institutions can gain visibility into message processing, balance financial risk and facilitate effective performance management.